Help me with my doubts! So picture this: One day your buddy says to you: Let’s go for a walk. And as you go along the trails you get to a spot where something really crazy happens. Your friend transforms before your own very eyes, his faces shines, his clothing is whiter than snow and you can almost hear the angel sing.On top of it, there is a voice that comes through and says: This is my Son! The more and more I think about this story, I feel like Peter. I want to be there in God’s presence and just delight myself in the presence of Jesus, seeing him as God and just bask in that glorious heavenly moment. You see in a way I know who Jesus is, but at the same time when I open my eyes all I see is my day to day reality. And that is where I wish I could see Jesus for what he really is in the day to day. It seems that our lives are lived in a way at that intersection of faith and reality, where we want to be brave and step out without fear and proclaim who Jesus is but we soon find ourselves hiding behind the lack of faith that seems to rule our lives. 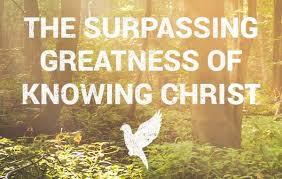 Paul wants us to appreciate “the surpassing worth of knowing Christ Jesus [as] Lord” compared to all else in life. Today, let’s give thanks for the Lord Jesus throughout our day. 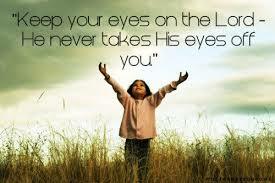 I wonder what he will show us as we focus upon him? Jesus is the Bread of Life who gives the deepest satisfaction and joy. He is the Good Shepherd, the One in whom we can seek security and place our utmost confidence. He is the Light of the World giving guidance and direction even in the darkest times of life. He is the True Vine through whom we are connected to God’s strength, love, and grace. He is the Way, the Truth, and the Life in whom we walk in wholeness, hope, and truth. Jesus is the Lamb of God who takes away all our sins. Give praise, honor, and thanksgiving to the Lord Jesus this day. Watch for what he wishes to teach you. 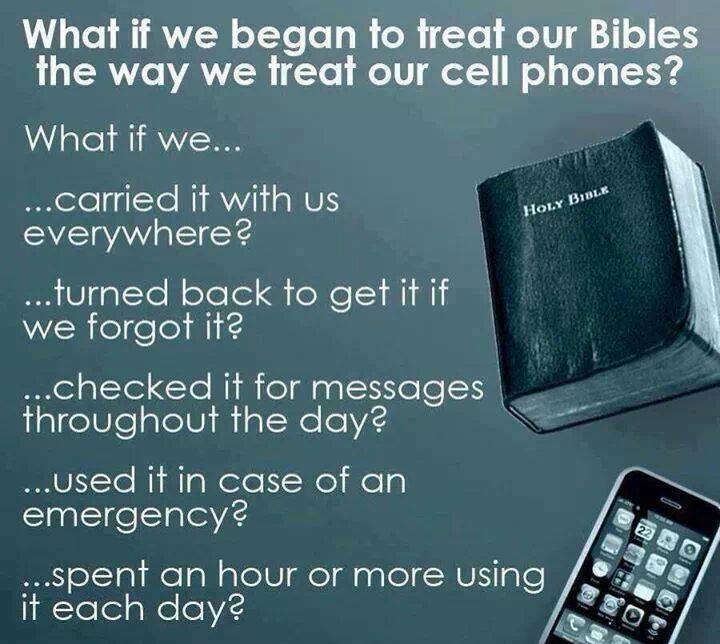 Cell phones…can’t live without them right? I must admit that I find value in mine – it keeps me in touch…keeps me on schedule…on occasion provides entertainment with regard to music, Words with Friends and the occasional game of chess or backgammon. Earlier today, I came across a Facebook post from a pastor friend of mine that I met through seminary and it got me thinking. Now I know for some that a cell phone is simply a tool at best but when I look around, especially at others driving, I find that the cell phone is way more than a tool – it borders on addictive. At any rate, I found the following challenging…maybe you will too – what do you think? Everything belongs to God. His Kingdom is vast and expanding. God is actively involved in his creation and in the lives of his people. 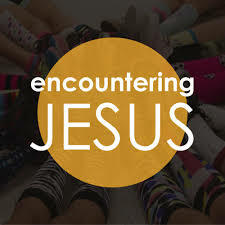 Here, as we read of the beginning of Jesus’ ministry we are reminded that God comes near to us in Jesus, “The Kingdom of God has come near.” And when Jesus comes near he calls us to “repent,” that is have a change of mind about some things in life that we might draw close to him and desire what he desires, his Kingdom of life and light and love. It’s so good to know that God comes near to us, loves in Jesus Christ, and calls us to work for him and his kingdom in our world. When we practice the spiritual disciplines of the Christian life, prayer, scripture reading, meditation, worship, etc. we put ourselves in the place to hear God’s call in our lives. What is God calling you to do and be today as you go through the day and journey further into this unfolding week? This past Sunday, I was teaching the kids about the book of Ruth. The lesson was a fun one, and all the kids were chiming in talking about the story. And why not? This is a great story! A kind man shows mercy to a couple of women, and fulfills his tribal duties before his kinsman and his God. But the story is much more than loyalty. This is a story about TRUST too. Ruth trusts her mother in-law time and time again. Trust is something hard to come by these days. And if we are to be really honest, I think that each one of us will find trust to be one of those elephants in the room, so to speak. I pray that as we go out each day we can meet people that we can trust, and also people that can trust who we are. and may our families, communities, places of work be transformed and blessed just as the story of a Moabite Woman named Ruth. For our culture today, a dog is a highly loved animal. We were just down to Indy this past weekend and we got to see Jeff and Jeanine, Bounder and Caruso. Jeff and Jeanine are longtime friends – Jeff was a college roommate of mine and the best man at our wedding. 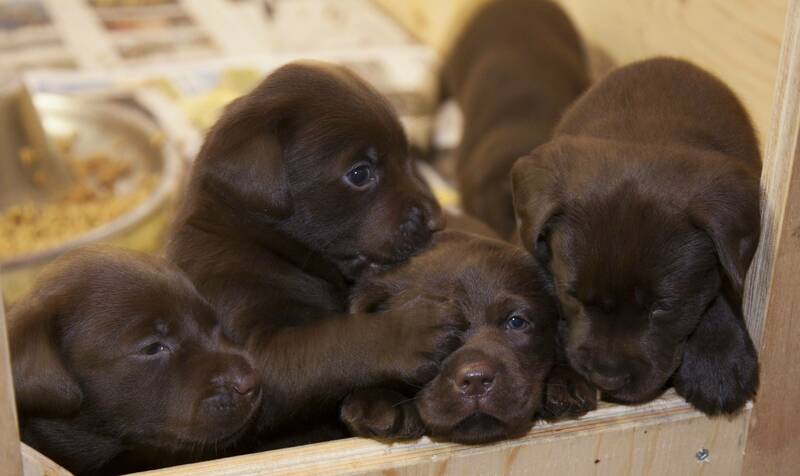 Bounder and Caruso are chocolate labs – very friendly and always a pleasure to see. But dogs were not well loved in the time Paul was writing – they were known as pariah dogs…roaming the streets in packs amid the garbage and rubbish. In the Bible, the dog is never viewed positively. In Philippians 3, Paul says, “Watch out for those dogs, those people who do evil, those mutilators who say you must be circumcised to be saved. For we who worship by the Spirit of God are the ones who are truly circumcised. We rely on what Christ Jesus has done for us. We put no confidence in human effort…” Who are the dogs? For Paul, “the dogs” are the ones who identify their faith by what they do or do not do. They often compare others with themselves…often providing evidence of their own superior spirituality or morality. Paul says to look out for these individuals. These individuals focus on “I do…I don’t…I have…I never…” – focused on their accomplishments. One current day example might be, “I go to church every Sunday…what about you?” Now, I am an advocate of going to church – don’t get me wrong…but it is knowing Jesus that is more important. Does Jesus influence your life? Paul was able to say all this because he was once a “dog” as well…the best of the best “dogs” if you read on a little further in chapter 3. But in the end Paul talks about his faith and not his religion…Paul is telling us that in the end, it doesn’t matter how good you look, or how great you sound, how much you have, or how great you act unless all of it is because of the one who humbled himself for all…Jesus. There is much to think about and learn from these verses of Philippians in Chapter 4. It’s a good text for the beginning of the day, week, and year. However, today I wish to focus on just verse 8 of this chapter. 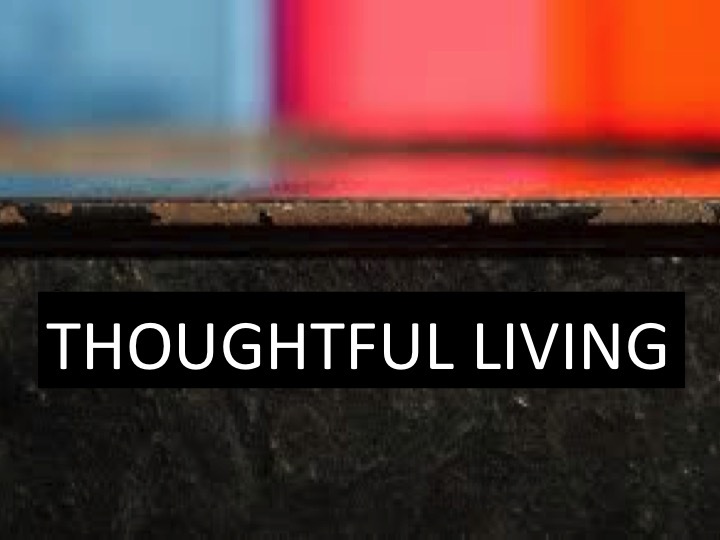 How we think and what we most think about as we go about each day shapes who we are, how we live, and what we do. It influences how we see other people, ourselves, and the Lord Jesus. Let’s start this day and week by thinking about what is excellent, good, true, and right as the Lord Jesus so leads us. Once in a while I catch myself being lost on the picture page of Time Magazine. The stories told by powerful pictures capture my attention and interest, and most times I end up browsing page after page, soaking the emotions that transpire from each picture. Some pictures tell a story while others just captures a moment found somewhere in the nature. Pictures have a way of engaging our mind and emotions. Pictures can help us engage with a cause, or find tranquility, pictures make us smile or they tug at our heart strings. But once in a while I wonder: How do we picture heaven? How does that kingdom looks like? What are the pictures of heaven we want to see on earth? What are the things that can capture our hearts that will moves us to change the world for the Father in Heaven? I pray that as we look through our faith to heavens, we will capture our own pictures of the kingdom of heaven.